800 Words co-production with Seven, South Pacific Pictures. 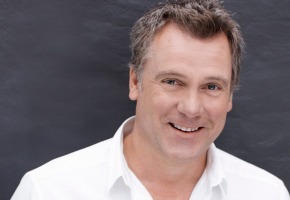 At Seven’s Upfronts last week guests heard about 2015 drama 800 Words, featuring Erik Thomson, but not much detail about the production. Described as an “international seachange” the series sees Thomson feature as a writer penning 800 Words for a weekly newspaper column. He moves his family of two teenage daughters from Sydney to the fictional Kiwi town of Weld after the death of his wife. Seven is co-producing the 8 part drama with New Zealand’s South Pacific Pictures. It will feature both an Australian and New Zealand cast. The show has been created by James Griffin (Outrageous Fortune, The Almighty Johnsons) and Maxine Fleming (Being Eve, Outrageous Fortune). SPP Chief Executive Kelly Martin said: “Seven loved the scripts from the start and we’re thrilled to have this project underway. Upfronts guests saw some cleverly-assembled vision presenting the new drama, but none has been shot as yet. Seven decided not to proceed with drama pilot Hartman’s Solution, also starring Thomson. What’s going on at Seven drama? I really like the sound of this show, looking forward to it. I believe there’s also an Outrageous Fortune prequel being produced next year…..
@maxxdude. doesn’t matter. All nz drama is classed as local drama due to our free trade agreement. With Outrageous Fortune creators involved should be a good script! Is this just ‘Almost Greener’ set in NZ? So is this classed as an Australian or NZ production or both?